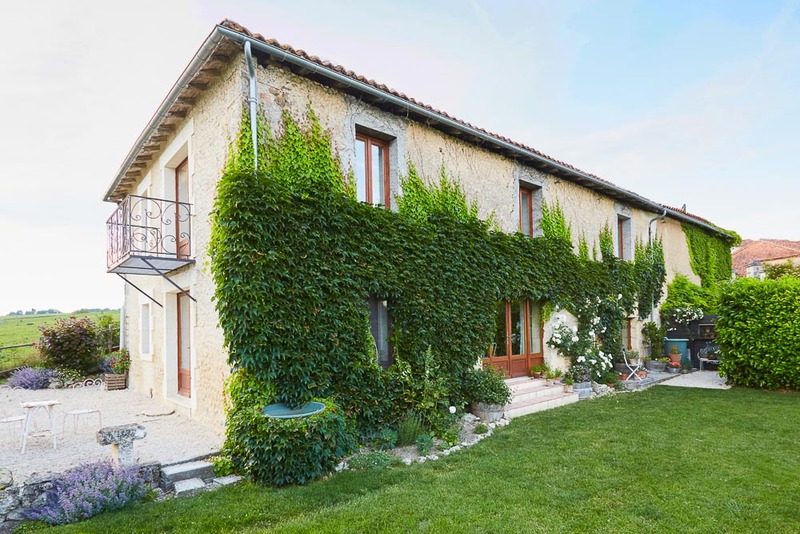 Louise Pickford and Ian Wallace's converted 300-year-old barn in Charente, south-west France. Louise Pickford and Ian Wallace living the relatively simple life in the French countryside. Ahh, the expat life... Dining in the garden of Louise Pickford and Ian Wallace's French rural retreat. 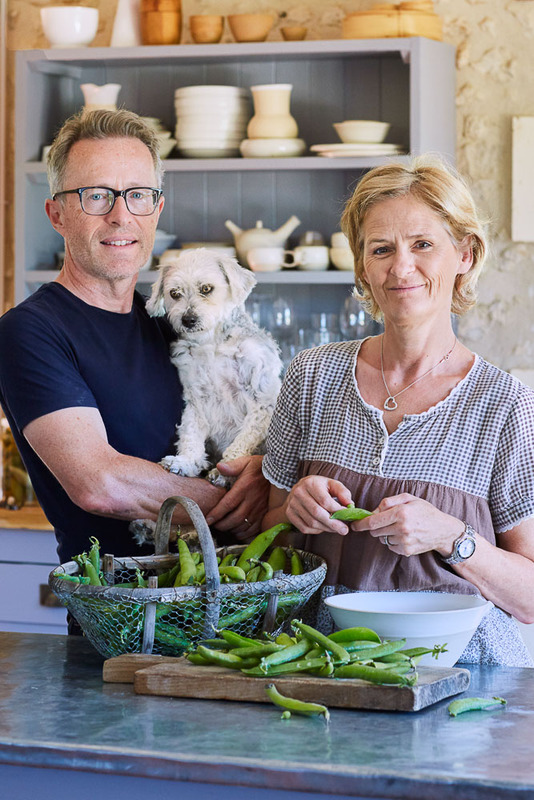 We chat to stylist and food photographer team Louise Pickford and Ian Wallace Food, Australian expats who dared to live the dream in the countryside of south-west France. The UK: I [Louise] grew up on a farm in the West Country, while Ian is from South Wales. However we moved to Sydney in 2000 and spent 13 years living and working there as a food photographer and food stylist team. We became citizens in 2004 and still have property there. In a tiny rural hamlet in the Charente in south-west France. The house is a 300-year-old converted barn. It was converted before we bought it and has had large doors and windows put in, so it’s light and bright, similar to our home in Sydney. We have been in France for four and a half years, and in this current house for four years in January. What is the best thing about living where you do? The peace and tranquillity. We live at the end of the road so the only passing traffic is the farmer or his cows. 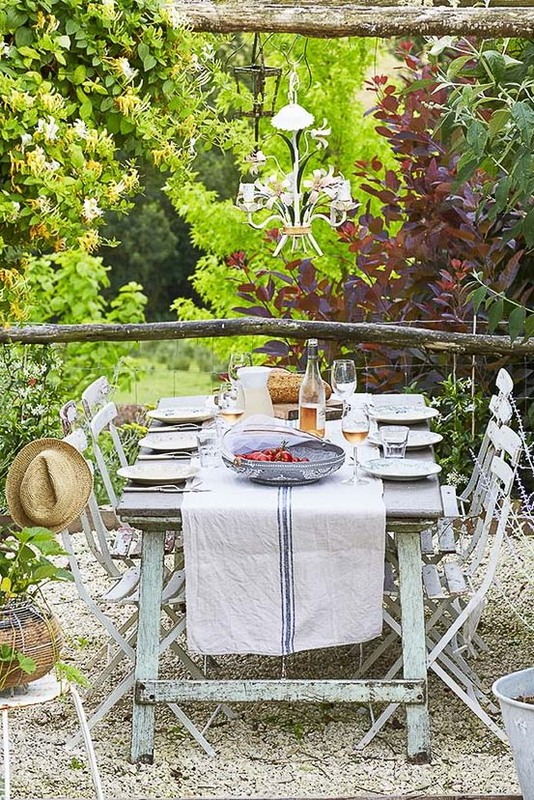 Ahh, the expat life… Dining in the garden of Louise Pickford and Ian Wallace’s French rural retreat. Visit some of the food markets, especially in summer as there are weekly night markets. The whole village is taken over by local food producers selling fresh ingredients, as well as ready-made dishes. You can buy amazing meat from the boucherie van, and then take it over to the barbecue area to have it cooked for you. Ha, this is one of the few downsides of living in France, especially after Australia, where coffee is so good. There are some good shops selling whole beans, but don’t expect to find roasted, single origin coffee. It is cultural; here coffee is always a short black, drunk standing up at a bar, where you can pass a few minutes with a friend. My advice is to skip the coffee and wait until the evening to enjoy an apero (aperitif). France does this particularly well as every region has its own local tipple. This region is famed for its duck and foie gras, and although we rarely eat foie gras, we do enjoy duck. The market in Angoulême (the capital of the area and our local city) is home to a fabulous duck producer who, alongside selling his produce, has a small cafe where his wife cooks three main course duck dishes, which change daily. You can also get duck charcuterie, which is delicious. What’s your favourite place nearby? We live a little over an hour from the Gironde estuary and coast. The region is one of the best areas for mussels and oysters in France, so we go whenever we get an excuse to. There you will find a local speciality called éclade, which is a dish of mussels, cooked under pine needles on a wooden board. It is truly wonderful. Part of the reason we moved to France was to be closer to family who live here (and in the UK), so it has been really lovely to get to know the younger members. We are also able to spend more time enjoying our hobbies; for me that is pottery and for Ian, road cycling. The pace of life is far slower here; it is almost like travelling back in time to the middle of the 20th century. We love it. Louise and Ian’s next food photography and styling workshop will take place in the Dordogne, France, from 6-12 June, 2018; visit comecookinfrance.com for details.